In this issue, we have highlighted individuals who have walked through the door of opportunity on their dreams! They have pulled up their bootstraps and have given it all they have got...and the results are phenomenal! True success stories at the core! 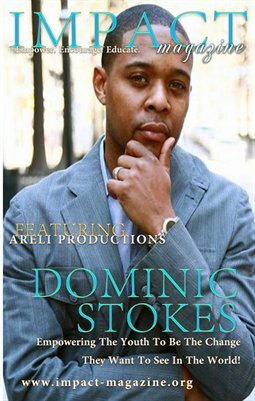 At first, we speak with Dominic Stokes. An Atlanta native, who created the Community Teen Coalition, Inc. (CTC) – a youth enrichment program designed to generate the skills and motivation teens need for future success in post-secondary and entrepreneurship education. In addition, we have spoken with ARELI Productions, a production company directed toward the development, marketing and production of quality media content, providing the ULTIMATE platform for industry professionals to meet, collaborate and connect on a national and international level. As I strive for ultimate health, I wanted to share the Book of the Month, Vegan Soul Kitchen by Chef Bryant Terry!